Though there is a part of me that would love to be a professional couch potato, I do have a lot of interests and I have found that if I don’t express them I get miserable. The other day someone asked me how it is that I do so many things, that I am involved in so many projects etc. And of course it is relative because I know people with more irons in the fire than me but I thought I would share some of what I have discovered helps to get stuff done. One mistake that I used to make a lot but am getting much better with is the trap of being too focused on the end result. For example, right now I am planning on having a show of my mixed media portraits of Blues Singers (they are watercolor and pen & ink pieces that I love doing so much). 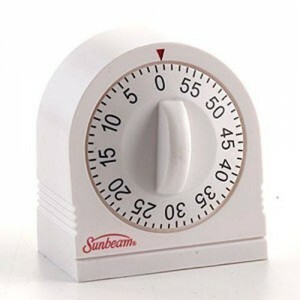 But when I am alone in my studio I bring an egg timer and say “OK you have 20 minutes to draw”. 20 minutes may not sound like a lot but if you manage to steal 3 of those blocks per week, in a month you have spent 4 hours painting. Of course while I am at the drawing table I am often able to give the timer an extra 20 minute crank or two. I think the main reason why this works so well is that NOT doing what we want to do is draining. It is like swimming against the tide, it takes so much effort to NOT follow your heart and passion that simply reversing direction can push you along. You don’t even need to swim that hard at all to move along. The main reason why I now try to focus on the process and not the goal itself is because to quote John Lennon: “Life is what happens when you are busy making other plans”. In between all of our milestones and “official” achievements is our actual life! Sometimes when I am leading my workshop I wear a derby hat with a 3 foot long stick glued flat on top sticking out in the front. At the end of the stick is a short string and at the end of the string is a carrot. Then I have one of the participants handcuff me and everyone watches me run around trying to bite the carrot. It is pretty funny like watching a dog chase its own tale. The point of the exercise is to illustrate the concept that our culture is one of “seek but do not find” and even our desires and goals get plugged into that non-workable system. Some say that people with no goals tend toward depression and people with too many goals tend toward anxiety. I am convinced that there is a sweet spot in the middle which is coming up with end goals but then putting the attention on the actual process of getting there. For me the secret to generating creative expression is to do it in tiny steps- especially at the beginning of a project. Tiny steps where the value is in simply doing it. When I say “I am doing a show of my paintings” am indeed DOING the show while I get out the brushes, while I am sitting by the window thinking about what colors I want to use etc. The show begins the minute we start it. Last year I tried to write a “self help” book based on my workshop. I got absolutely no where with it because I was overwhelmed by the thought of completing it. This year my goal is to simply write as often as I comfortably can. Is there something YOU would love to do but are overwhelmed by the thought of getting to the final product? Do you have an egg timer?